There are three options for displaying the date in the browser: "Normal", "Brief" and "Long". For defining the format, the pattern from the Java SimpleDateFormats can be used. 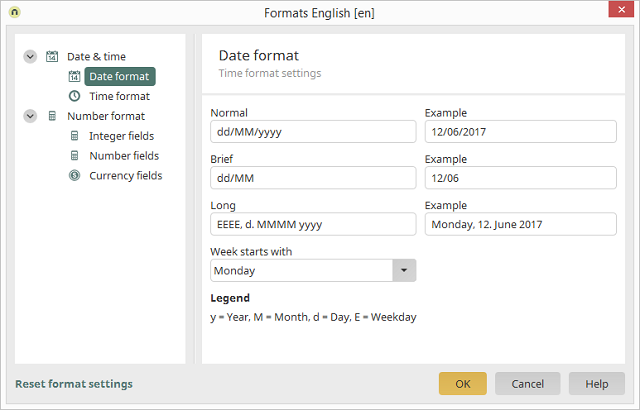 A preview of the formatted date will be shown in each of the example fields. Define the first day of the week here. Provides an explanation of the abbreviations used in the "Normal", "Brief" and "Long" fields.